Part I-- Checking In: How are you? What have you been up to? Where are you now in terms of your grad school processing (2nd exam done, prospectus submitted, etc)? Part II--- Methodologies: Which of the methodologies framing this unit (fem of color, testimonio, queer of color critique) match your work? How and why? Week 10's reading and writing (Gwaltney and Zora) are now cancelled. The presenters for that week (Donald and Sasha) will present on April 25. If your work involves Black communities and qual research, you will have to read Gwaltney and Zora on your own. These names and their connection to the histories of ethnography are things you should know. For April 18, read and write about Bettina Love and one other essay from Queer of Color Critique in unit three. This is the assignment from March 28. Over spring break, purchase one of the books for the April 25 class. Pace yourself to read the full book by this day of class. The Queer of Color unit will be ready by end of week. 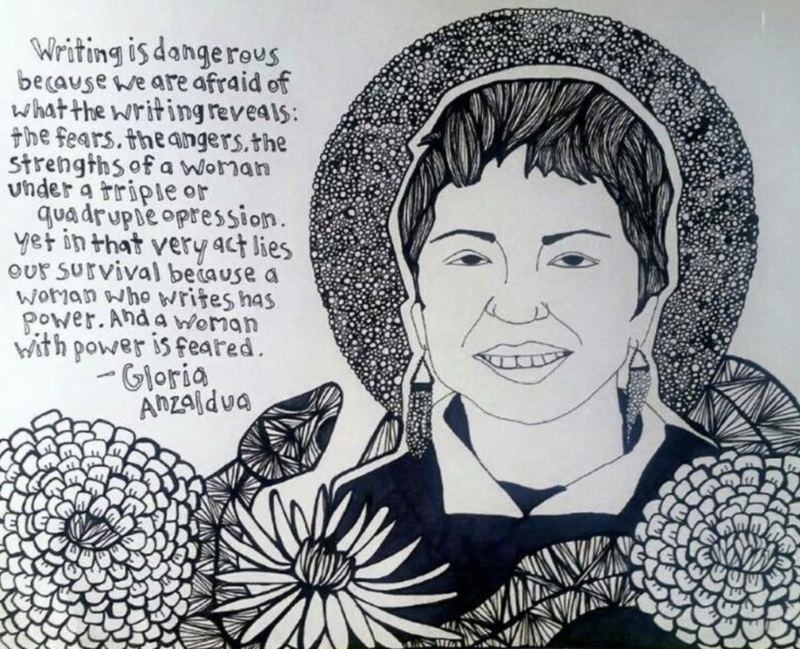 OUR DISCUSSION QUESTION: Why have Gloria Anzaldua, This Bridge Called My Back, and 3rd World Feminists shaped so much of the politics and theories of Brown/ Black/ Feminist/ Queer/ Decolonized qualitative research & methodologies? Carmen's Note: In March 2015, the State University of New York Press published the fourth edition of This Bridge Called My Back: Writings by Radical Women of Color, one of the most cited books in feminist theorizing that arguably turned the tide into what we today call intersectional feminism. This Bridge is an anthology edited by Cherríe Moraga and Gloria E. Anzaldúa first published in 1981 by Persephone Press and then published again in 1983 by Kitchen Table (Women of Color Press). The third edition, published by Third Woman Press, was in print until 2008. For seven years, new reprints were virtually unavailable. Reissued nearly thirty-five years after its birth, the current fourth edition contains an extensive new introduction by poet/ playwright/cultural activist Cherríe Moraga, along with a previously unpublished statement by Gloria Anzaldúa. Hailed as a crucial space for offering a serious and collectively articulated challenge to white feminists by women of color and to the very notion that “woman” could ever be a stable, monolithic category outside of specific constructions of race, sexuality, culture, and history, This Bridge fundamentally reconceptualized what we do in women’s and gender studies (Alarcon; Sandoval; Barbara Smith; Anzaldúa and Keating).